SECURE YOUR HOUSING TODAY! STUDIO - 7 BEDROOMS AVAILABLE!  Campus Apartments provides an affordable and private home away from home where students can live and study in Philadelphia, Pennsylvania. Our properties are conveniently located within walking distance to the University of Pennsylvania, Drexel University, The Restaurant School at Walnut Hill and The University of Sciences. Whether you walk, bike, or use public transportation, you can enjoy the off-campus lifestyle and without ever being too far from campus!